Under the hood, the handset runs on an octa-core Snapdragon 670 chipset aided by up to 8GB of RAM and 128GB of internal storage. Vivo X23 is finally official in China. The smartphone sports a waterdrop notched display, an in-display fingerprint sensor, a 3D glass body and more. It runs on Funtouch OS 4.5 based on Android 8.1 Oreo. Under the hood, the handset runs on an octa-core Snapdragon 670 chipset aided by up to 8GB of RAM and 128GB of internal storage. The smartphone embraces a 6.41-inch full HD+ Super AMOLED display. It is powered by a 3400mAh battery with fast charging support. On the photography front, the X23 packs a 12MP f/2.0 front shooter. There is a dual rear camera system, including a 12MP f/1.8 sensor and a 13MP f/2.4 sensor with a 125-degree super wide-angle lens. The device has 4G VoLTE, Wi-Fi, Bluetooth 4.0, GPS, GLONASS, and OTG support. 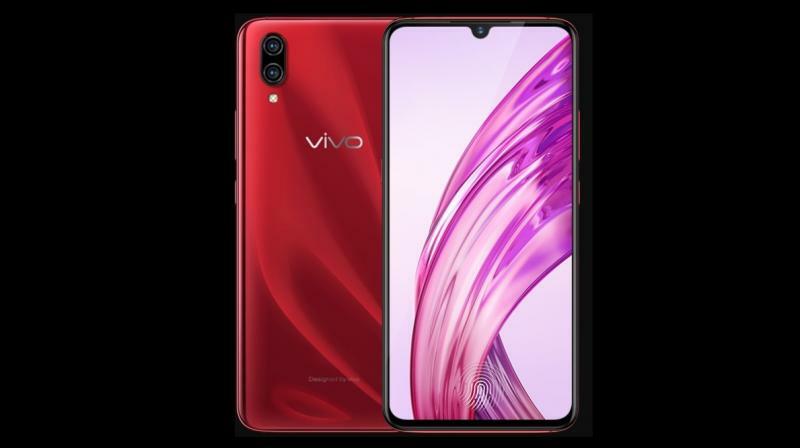 The Vivo X23 costs CNY 3,498 (approx Rs 36,700) and comes in five colour variants — Fashion Orange, Midnight Blue, Fashion Purple, Phantom Purple, and Phantom Red. As of now, it is unknown whether the smartphone will make it to India or not.